It’s Oeuf, but not as we know it. Oeuf NYC has just added home decor to their already impressive portfolio of furniture, bedding and clothing and this first season is all about soft furnishings. When I say soft, I mean gorgeous knitted, alpaca soft. 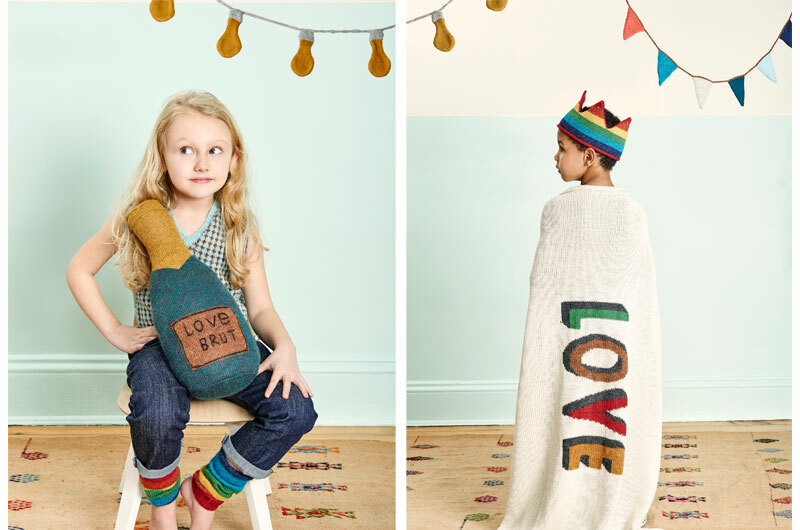 Using traditional artisan techniques of hand looming, Oeuf introduces an extensive fair trade collection of 100 per cent wool rugs, pillows and alpaca-stuffed objects. 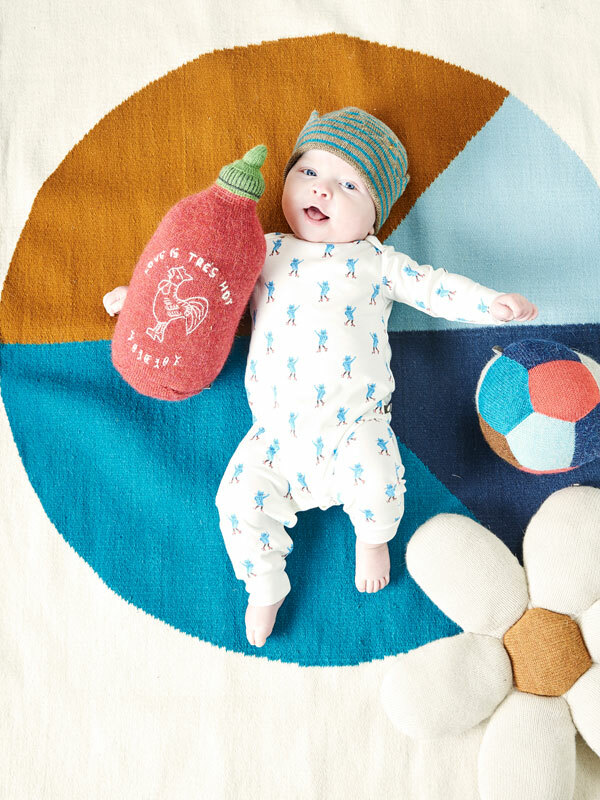 If you are familiar with Oeuf NYC, you’ll notice recurring themes of playful animals, retro 70’s motifs and all sorts of weird and wonderful edible items in this collection, all worked in a rich palette that is perfectly suited to our upcoming southern winter months. Designed to stand out as statement pieces, the Oeuf decor accessories and decorative cushions work really well against a backdrop of clean, modern furniture. Big on humour, there is a big mouth shaped pillow complete with braces or a gold tooth, a cauliflower pillow and a large hotdog that are all sure to make great conversation starters. 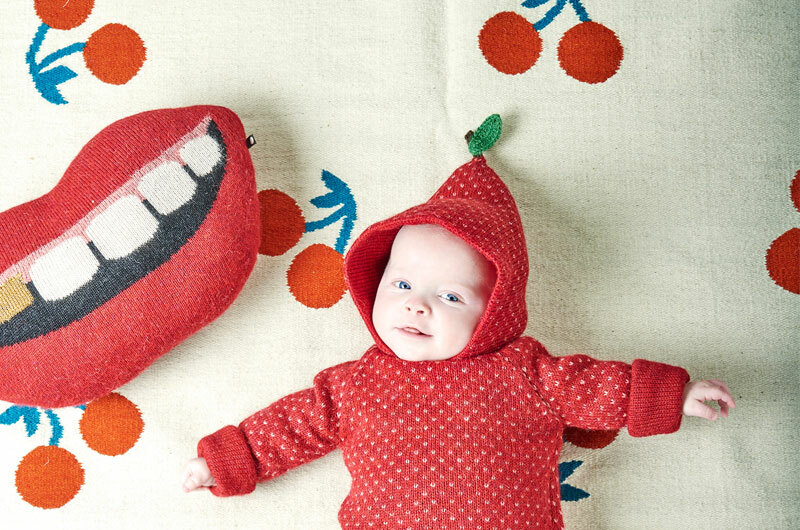 On the luxe side there is a sweet cherries rug that has me drooling. Another exciting development from Oeuf is that they now deliver internationally so I won’t have to leave you hanging at the pining stage for once. Shop the Oeuf Decor collection in their webshop today.